Wednesday April 10, 2019-Deputy President William Ruto has cleared the air on why President Uhuru Kenyatta fired former Sport and Culture CS, Richard Echesa. 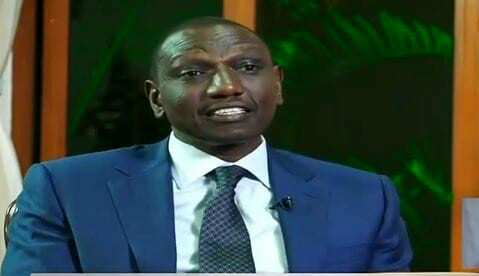 Speaking to Citizen TV's Hussein Hussein Mohammed at his Karen home, Ruto indicated that as the appointing authority President Uhuru Kenyatta and himself had the right to show him the door. "We have had CS Echesa sacked, he has been demanding to know, why he was sacked," Hussein posed. Hussein responded that given that the DP sits at the presidency, he was better positioned to understand why Echesa landed the post. "I think the same hiring authority deserves the right to fire... with or without a reason," he summed it up. Prior to his sacking, the former Sports CS had dared Opposition leader Raila Odinga to fire him given that the ODM kingpin was not the appointing authority. State House sources said Echesa was fired for undermining Raila Odinga.